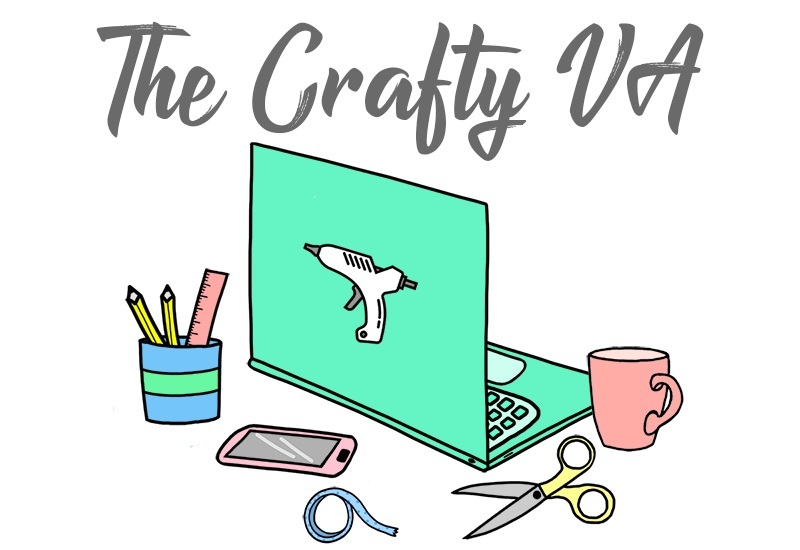 Today I have a guest on the blog! 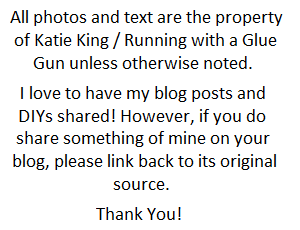 Her name is Jane Blanchard and she write over at Modernize (which is a really cool design site). Jane has some really great tips for decorating your hallway, so I'm going to stop talking and let her take over! The hallway is just a thoroughfare, right? Actually, the hallway is a perfect location to express yourself and show off some interests. When you walk down these relatively narrow spaces, you can't help but notice artwork on the walls or even the length of the home. Take some of these decorating ideas and apply them to your hallway. Don't allow boring to rule the walkway between the living room and bedrooms. This hallway may scream "basic black and white," but it has an added detail that makes it a bit more formal. The crown molding at the ceiling edge creates a dramatic appearance as you glance upward. 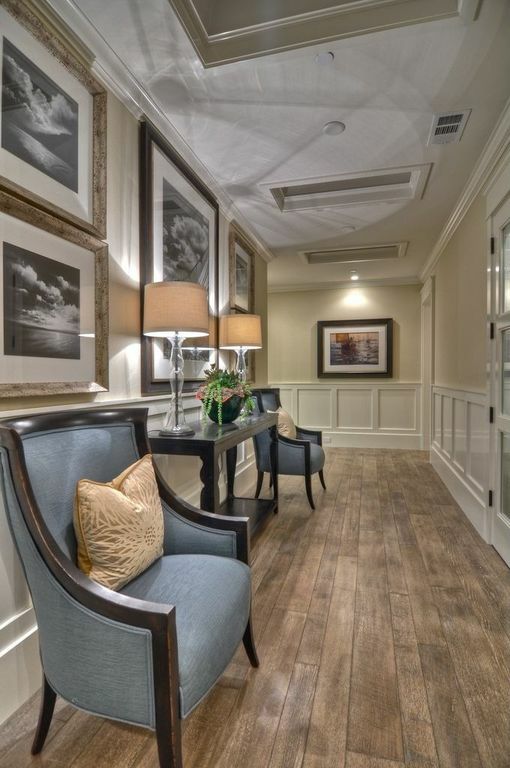 Most hallways don't have such a dark color so your molding may stand out more if it's a beige or cream color. Even add new molding at the floor level to complement the ceiling style. A unique design reflecting your passion is appropriate. Here, these travel-loving homeowners have installed a world map. Your imagination is the key to a smart mural. It's always possible to take it down or paint over it in a few years and create a new design as times change. 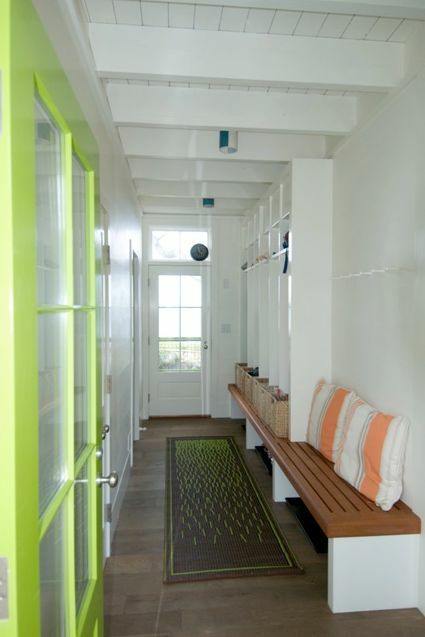 This runner is perfectly matched to the lime-green doors in this home. Try to find a runner with some stripes or lines to its structure. These patterns make the hallway appear long. This lengthening sensation is preferred when you have potential buyers visiting the property. When the rug draws the eyes downward, it also helps visitors move through the space without tripping because they're paying attention to their feet. All hallways have endpoints, such as at bedrooms and entryways. Use the entryway endpoint for functional elements. Add a storage bench, providing a seat for visitors and a hidden compartment for extra jackets and mittens. Coat hooks are perfect additions behind the bench too. Simply imagine yourself walking inside and finding all conveniences imaginable to design your endpoint space. Large artwork can overwhelm a living room full of bookcases and mounted televisions. Allow the artwork to take center stage by adding it to the main hallway. Visitors have a reason to stop midway down the hall to admire the art. There are no other major distractions from their view because of the limited space. Although many hallways are incredibly narrow, others have some space for furniture. Add a decorative chair and table to provide a quiet getaway for guests. If there's a window view like this home, center the seats in front of the glass. Encourage everyone to enjoy the view while taking a break from moving around the home. The hallways don't have to be an isolated area meant to pass through quickly. For more design tips and tricks, please visit Modernize.com. Thanks Jane, those were some great tips! I think a lot of people overlook there hallways as a decorating space because they just don't know what to do with the ''awkward'' space. I love your tip about sketching out a mural. This would be a great way to show off your personality and really showcase what you truly love. 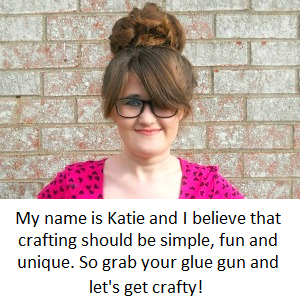 p.s If you would like to be guest on Running with a Glue Gun, then check out this page!